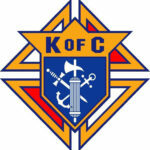 All practicing Catholic men 18 years and older are welcome to join our Knights of Columbus Council. Come make a difference by being part of our Catholic men’s fraternity that has as members, many of our Parish’s leaders. Meetings (in the Social Hall) Social Meeting: 2nd Monday of the month at 7 PM, Business Meeting: 4th Monday of the month at 7 PM. Grand Knight: Stacy Chadwick, cell phone #: 770-654-4976, Membership Director: George Farley, Email George or contact via phone #: (954) 993-2983 or Sign up online For more information click here. 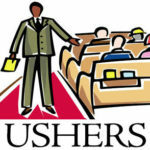 People experience the presence of Jesus’ Church through the Usher Ministry. The first task of the parish community is to reach out to all people with Catholic Christian love and service. As Ushers and Greeters, we warmly welcome parishioners and/or visitors, thereby drawing us together and opening all to participation at the Mass. As individuals and families search out their parish home, it is often the Usher, who represents the parish at the moment of the first interaction, that can be the deciding factor on what St. Michael truly feels like to the visitor, if they’ve arrived at their new spiritual home. 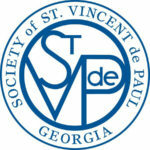 Our St. Michael parish, being located near the North Georgia mountains and Lake Lanier, often welcomes Catholics here on vacation. Besides welcoming parishioners and guests, the Usher needs to be prepared to answer questions about the parish and help guide them in a Christ like manner. If you are searching for a ministry at St. Michael to meet and welcome people, serving and assisting others, helping to build up the Body of Christ, volunteer to be an Usher. For more information, email Jack Capies or just talk to any Usher at Mass. As a lector, your ministry is to proclaim the word of God. Or rather, it is your ministry to allow God to speak His word through you to the Eucharistic assembly. When you proclaim the word of God, it comes alive and it is your role to let the word of God come alive in you so that it may come alive for the entire congregation. As a lector, you become the means by which God’s word touches the hearts of those gathered together for precisely this purpose. If you feel so called to proclaim God’s word at St. Michael, please email JoAnn Phillips at dpj4128@bellsouth.net or call 770-536-9346. “Extraordinary Ministers of Holy Communion” is the formal title of a lay person who has been deputed by the bishop for a period of time, or by a priest or deacon for a single occasion, to assist the priest and deacon in distributing Holy Communion to the faithful on those occasions where a shortage of ordained clergy makes it impossible for them to distribute Holy Communion to all the faithful in a reasonable way. It is thus a privilege to which the Church invites certain individuals under given circumstances, and not a right. The faithful who are special minsters of communion must be persons whose good qualities of Christian life, faith, and morals recommend them. The Archdiocese of Atlanta has given some concrete expressions of these norms, namely that an extraordinary minister of Holy Communion, if married, be married within the Church, have received the sacrament of Confirmation, and be at least 16 years of age. In addition, it is necessary that the individual receives the certification of their pastor that they are properly qualified and trained. Extraordinary Ministers of Holy Communion to the Sick, also assist the ordinary ministers in taking the Holy Eucharist to those Catholics who are not able to attend Mass, by taking the Body of Christ to them at their home or hospital. For more information on becoming an extraordinary minister of Holy Communion at St. Michael, please email Alice Schultz at alicebethschultz@gmail.com or Terry Barron to bring our Lord to the sick at terrybarronsaintmichael@gmail.com. 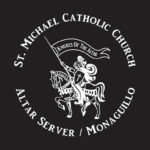 All youth who have made their 1st Communion through their senior year are welcome to join the Altar Server Ministry (Monaguillos) of St Michael Catholic Church. This ministry offers a wonderful opportunity for the youth of our parish to assist the Priests and Deacon’s during the liturgy of the Mass. If you are interested in serving at the English Masses (4:30pm Sat, 8:30am and/or 10:30am on Sunday’s) or want to know more about this ministry, please contact Belinda Jacob via e-mail or call her at 404-932-7587. If you are interested in serving at the Spanish Masses (6 pm Sat and 12:30pm on Sunday) please contact Maria Perez at 678-450-0023. Our parish is always in need of youth who want to be active in this ministry, so prayerfully consider if you would like to serve our Lord in this beautiful spiritual way. We hold monthly meetings from Sept-May for social and training purposes. 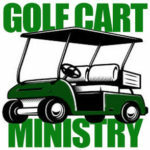 More information will be provided to you when you reach out to your Ministry leaders. The ministry, “Counting Our Blessings” meets early each Monday morning for a few hours to count and process our parishioners weekend Offertory gifts to support St. Michael. If you enjoy numbers and simple accounting and would like to serve the parish 2 to 3 hours a week, come join us on Monday mornings. 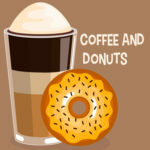 Catholic coffee is included! Contact Deacon Ken Lampert or text him at 404-664-3178 if you are willing to serve St. Michael, by “Counting Our Blessings”! I-985 N to Exit 24 Left to 5th traffic light, Right on Downey Blvd until you see entrance on the left.